This image is familiar to you because it is now printed in the packing of many products including Mobile phone. It is the Quick Response code or QR code used as a Bar code for storing information about the product. It is a “Mobile readable” code that can be used to connect with the website of the manufacturer directly to get the details of the product. 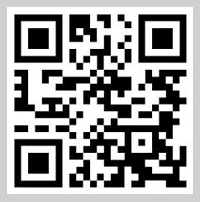 Users with a camera phone equipped with the correct reader application (QR Code decoding software) can scan the image of the QR code to display text, contact information or directly connect to the website. This mechanism of linking Physical world objects is called “Hard linking” or “Object hyper linking”.